Will Cable keep climbing? 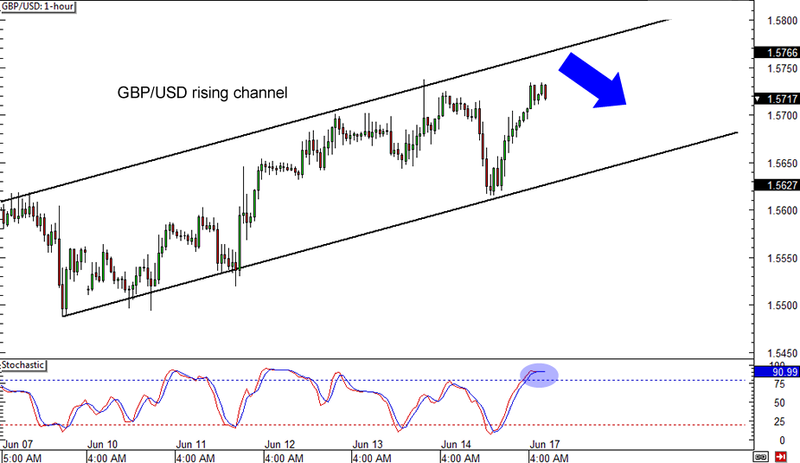 On the 1-hour time frame, it appears that the pair is ready to test the top of the rising channel near the 1.5800 major psychological resistance level. At the same time, stochastic is in the overbought region, suggesting that the pair could head south for a bit. If that’s the case, it could test the bottom of the channel before climbing right back up. It looks like USD/CHF is still going down, down, down! The pair is currently testing the falling trend line on its 1-hour chart while stochastic is moving lower. The trend line coincides with the .9250 minor psychological level, which happened to be a support area in the past. 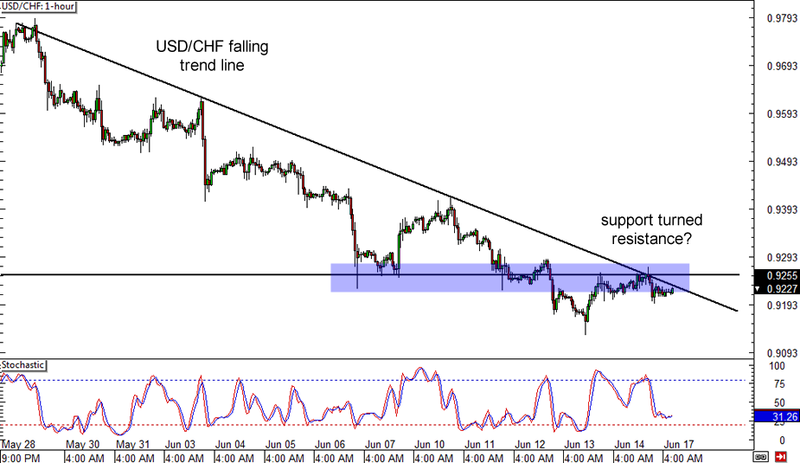 If it acts as resistance from now on, USD/CHF could be on its way to break below its previous lows around .9200. Last but not least, here’s a potential range play on EUR/GBP. The pair is stalling around the middle of the range, just around the .8500 major psychological level. It’s moving sideways at the moment, but a break lower could mean that the pair is ready to test the bottom of the range near the .8400 mark. 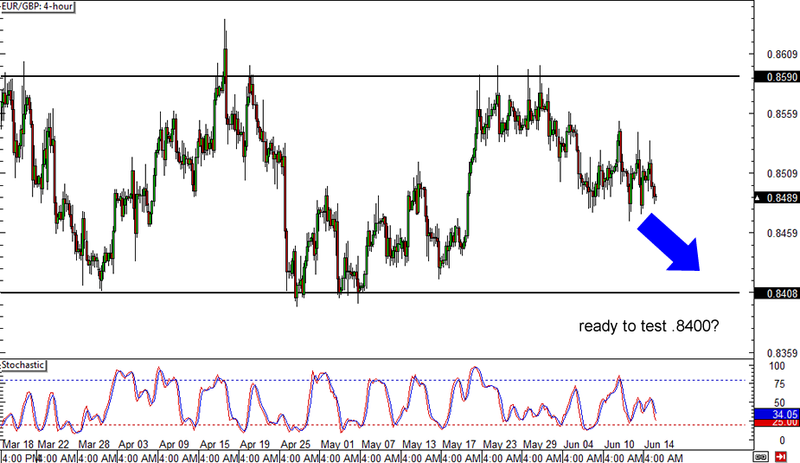 Stochastic is pointing down, suggesting that euro bears are still in control for now.